Antarctica, is home to an amazingly adapted bird of prey called an osprey. 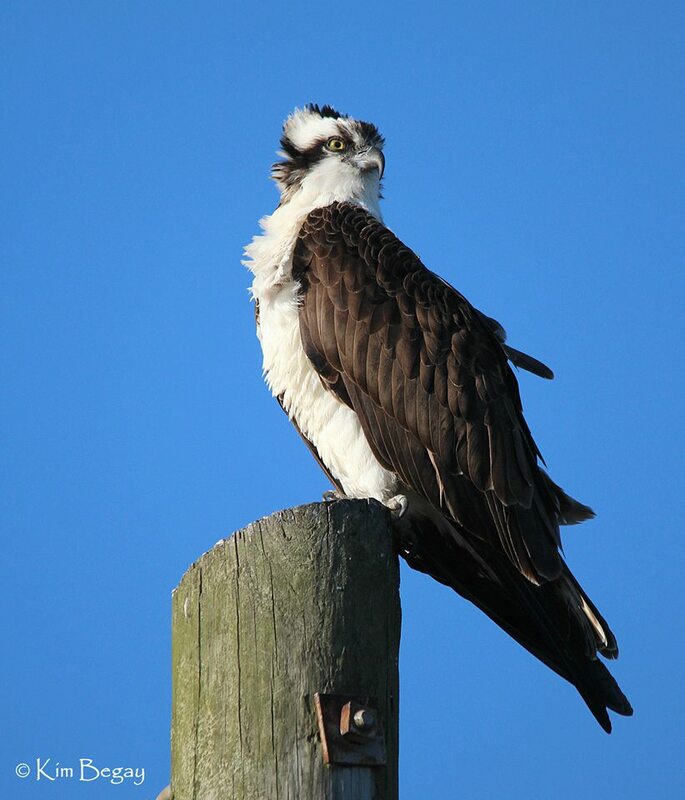 Osprey are also known as fish-hawks because they are piscivores meaning that 99% of their diet is made up of fish. They are year round residents in tropical and sub-tropical regions and migratory in colder regions that do not allow for year round fishing. Luckily today ospreys are abundant and can be found just about anywhere that has water for fishing and a suitably safe place for nesting. In the 1950s their numbers began to decline greatly due to the use of DDT, a pesticide, that caused thinning of the ospreys’ egg shells and decreased hatch rates. In 1972 the use of DDT was banned and efforts were made to create new nesting areas for osprey. Soon after the numbers of osprey began to increase so now they are classified as a species of least concern, however there are still several negative ways that we are still affecting their populations. 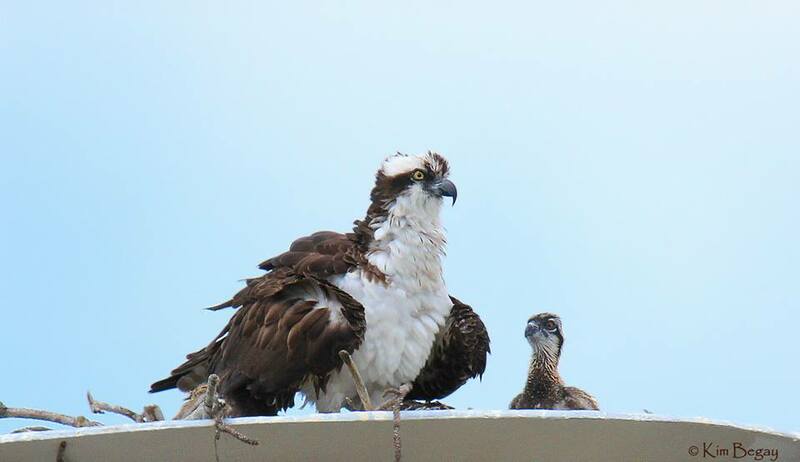 Osprey parents work together when it comes to preparing for and raising their young. Both sexes work together to build the nest with dad gathering most of the materials and mom arranging them to her liking. In general they select an area high up in which predators, like raccoons and snakes, would not be able to easily steal their eggs and within a close proximity to water. Their nests are typically built primarily out of twigs and branches but are lined with softer materials like moss and sea grasses. Once the nest is built and the pair has successfully bred the female lays a clutch of 1-3 eggs over the course of a few days. Incubation starts when the first egg is laid and this causes the eggs to hatch at different times and in the order in which they were laid. Once she has lain her eggs mom will rarely leave the nest until the chicks have hatched and reach about 4 weeks old because for the first few weeks of their life chicks are unable to regulate their body temperature so mom has to make sure that she keeps them warm and dry. This means that dad is responsible for providing mom and the young with all their meals. On average, the male will need to bring between 60-100 grams of fish to the nest every day until the young have left the nest. Even after the young have fledged and begin to venture out and hunt on their own they can return to the nest for up to 8 weeks to receive additional food from their parents. Once on their own these birds use several amazing adaptations in order to help them survive. A lot of these special features are catered to their fishing lifestyle. 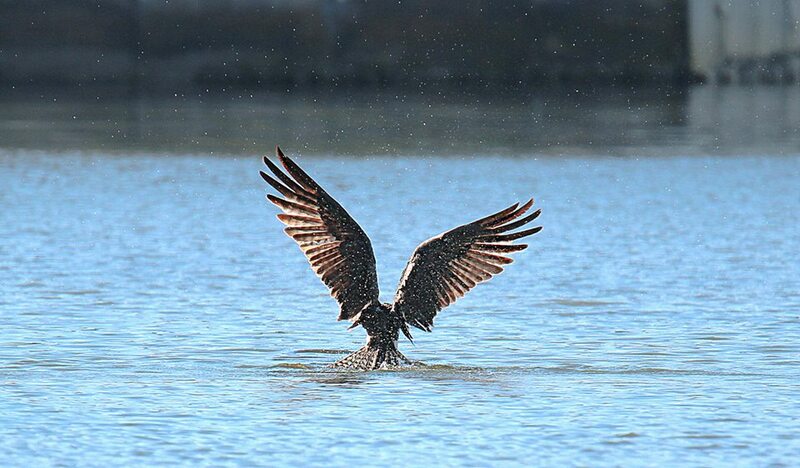 When looking for a meal an osprey flies 10-40 meters above the water until it spots a fish close enough to the surface. Once they have locked in on their target they hover for a brief moment before they close their nasal valves (which prevent water from traveling up their nostrils), pull their wings back and thrust their long legs forward yielding their specialized talons. 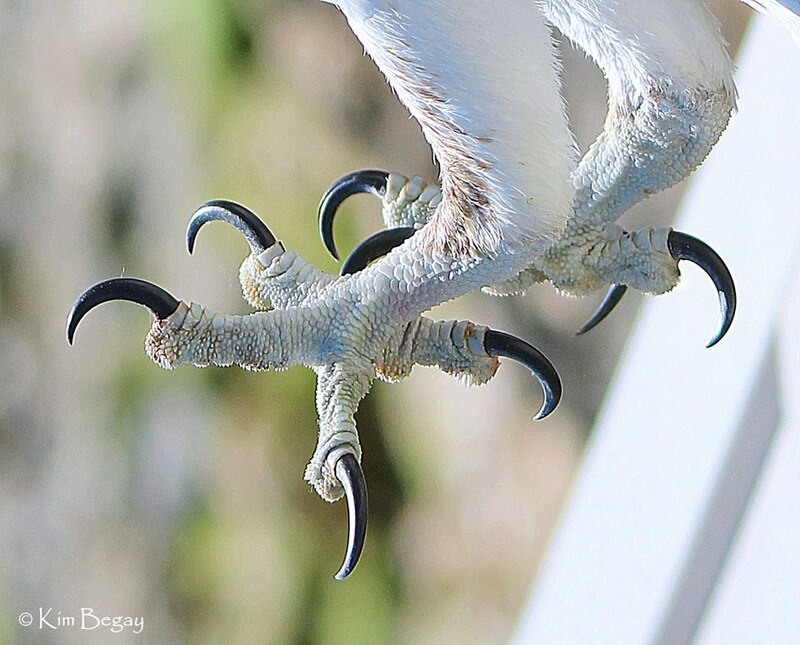 Ospreys’ talons, or feet, have four toes each with two that always face forward, one that always faces backward and one that is able to rotate to face either direction in order to better grip a catch. Another really amazing feature about their feet is their spicules which are spiny foot pads that help with keeping their catch under control. After a successful dive, the osprey adjusts their feet so that they are one behind the other and their grip so that the fish is facing forward. This is thought to be a behavior adaptation that helps them increase aerodynamics as they fly. Since osprey are skilled fishers they oftentimes encounter fishermen and their waste. 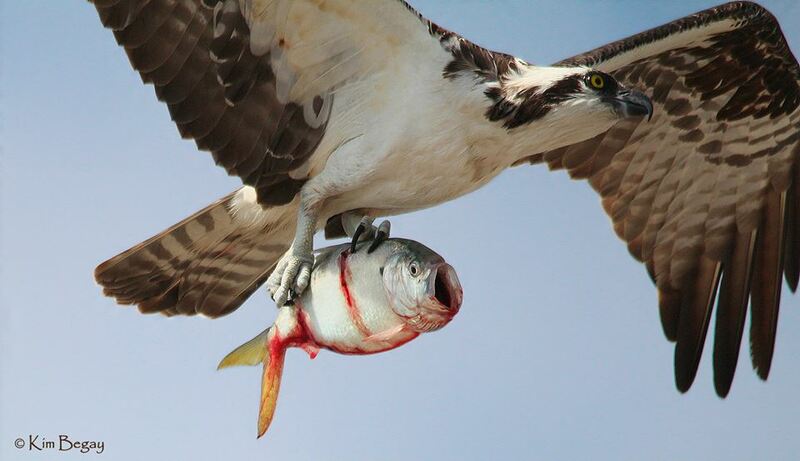 Occasionally ospreys decide to go after the same fish that a fisherman has just hooked and the fisherman cuts his line. This is hazardous to the osprey for numerous reasons. When ospreys eat they start at the fish’s head and work back to the tail, this causes them to get very close to the dangerous hook. If they manage to get past the hook the next obstacle is the line. 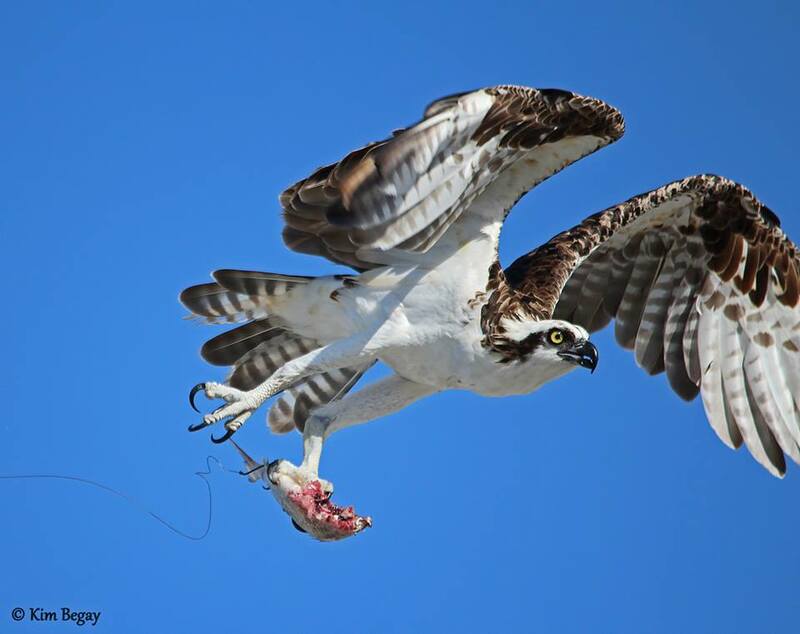 Fishing line can easily become tangled on the osprey, causing injuries immediately or they risk it getting snagged later while they are flying and it causing damage then. If you happen to encounter a situation like this where you and an osprey both land the same fish it is better to continue reeling in the fish and possibly bird so that you can remove the danger of entanglement if possible. Ospreys play a very important role in our ecosystems. 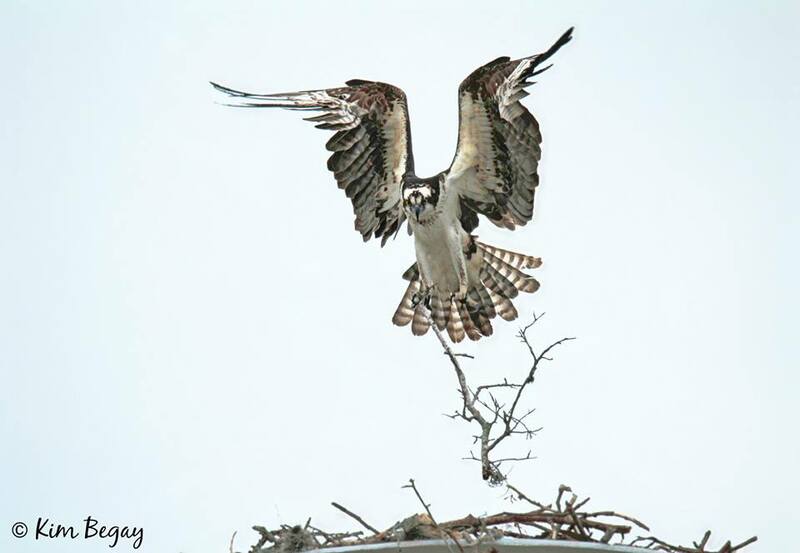 Some smaller species of birds use the ospreys’ nests as a base to build their own in the outer side cavities while old nests are frequently used by other large birds such as great blue herons and great white egrets. Ospreys are also an indicator species of sorts because their health can provide early indication of problems in the ecosystems. When they eat fish that has been exposed to hazards that could also affect other animals or people such as poison their health takes a turn and raises a red flag with the agencies that monitor the environment. These are just a few reasons why we should continue our efforts to conserve and protect these amazing birds. 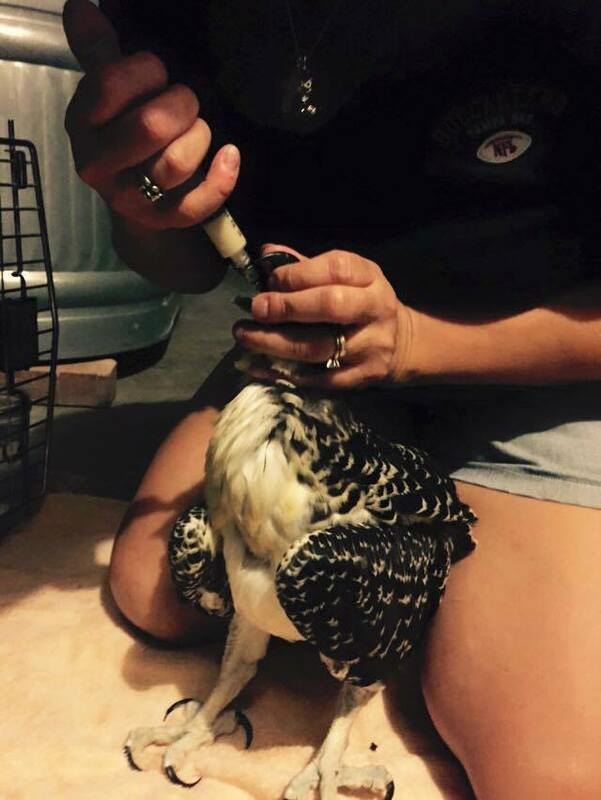 If you happen to find an osprey in trouble please make sure you report it to a licensed rescue facility like Owl’s Nest Sanctuary for Wildlife so that it can receive the care and treatment it needs. We also ask that you consider making a donation to Owl’s Nest Sanctuary for Wildlife so that we may continue our work which includes the rescue, rehabilitation and release of ospreys in the Tampa Bay Area.